Lake Texoma runs along the Red River between Texas and Oklahoma. Located just 75 miles north of Dallas and 121 miles south of Oklahoma City, Lake Texoma is considered a premier vacation destination. Known as the “Playground of the Southwest”, this 89,000 acre lake is well known for fishing and a myriad of water sports. In addition, the lake offers a multitude of amenities for anyone who enjoys the great outdoors. 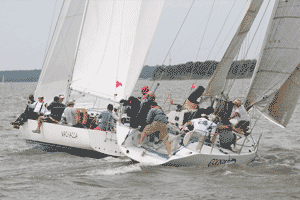 With points of interest 25 miles apart, Lake Texoma is home to sailing vessels most often seen on the open waters. Free-flowing current in the Red River makes Texoma one of the few lakes in the country with a self-sustaining population of striped bass, and one of only eight inland freshwater reservoirs worldwide where this species has spawned. 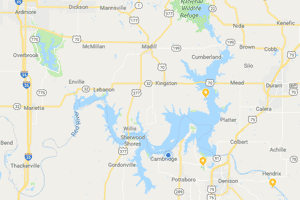 In addition to “Stripers” other species found in Lake Texoma include Blue & channel catfish, White & striped bass, Largemouth bass, Spotted bass, Smallmouth bass, Black & white crappie and Bluegill. Wildlife enthusiasts will enjoy the two national wildlife refuges. Each year thousands of Canada and Snow geese, various shorebirds, several species of ducks and bald eagles migrate to both the Hagerman and Tishomingo National Wildlife Refuges. Deer, wild turkey and other native animals make their home year round on the some 30,000 acres that make up these two areas. In addition to the water sports, Lake Texoma offers opportunities for walking, hiking, biking, and observing nature. The scenic Cross Timbers hiking trail winds for 14 miles above the lake on rocky ledges and through blackjack woodland at Juniper Point Recreational Area. Over 25 miles of equestrian trails are available at Platter Flats.